Natania has always been a strong supporter of our musicians family. A truly international artist, with roots in India and an education at Hollywood’s Musicians’ Institute on the West Coast of the USA, she has spent her early career carving out a distinct pop niche for herself. After her success with EP “Hope and Heartbreak” in 2012 featuring single “Cherry Love”, and more recently “The Letter”, she’s following up with a cleverly written punchy little pop number “Box You Up”, planting her musician’s hands firmly on two continents as she releases it simultaneously in India and the USA. As with Natania’s other work, the animated video – which in 2012 I wasn’t particularly used to or sure of – has become a lovable element of her art. I always preferred seeing an artist performing in a supporting video, but I’ve become a convert to this holistic approach to presenting a product. Buried inside this little box of treats are some really clever hooks; the vocal is solid, well produced, with some nice harmonies thrown in. 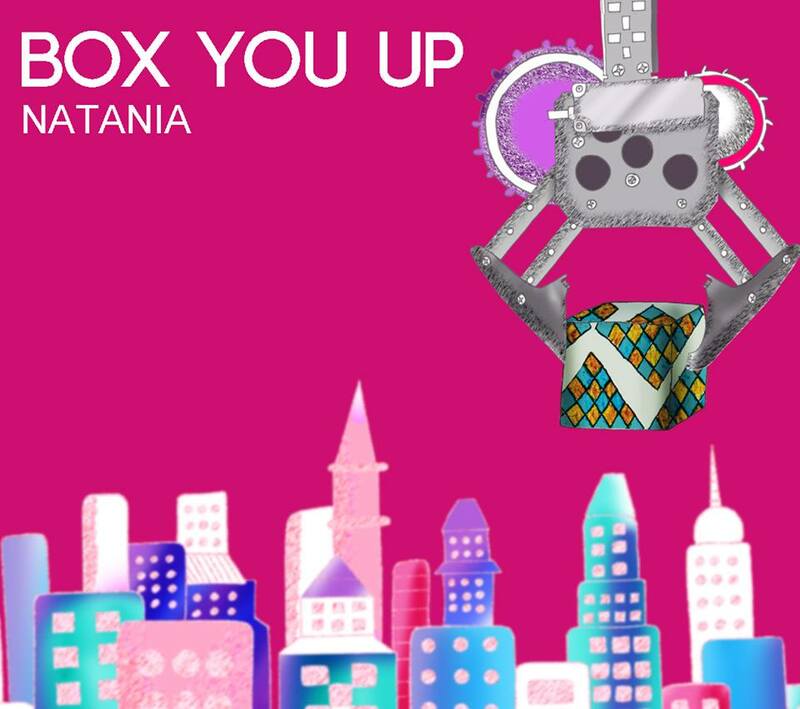 Natania can sing, and despite the simplicity of the track, her sweet voice shines through. There’s a little bridge buried in there at just the right moment which is dreamy and slows the pace down until I’m dying to hear that chorus again. There are hand claps, other little effects to listen to (many of which she just produces with her voice), and that lovely simple animation to guide you through the lyric. With Natania, it’s a style, a genre, all of her own. Check out that funky guitar backing up the vocal as she comes out of the bridge. Rockin’. And there you have it. It’s clever, catchy, and perhaps because of the number being so short, it’s made me want to listen to it over and over again. I hear this being played as the theme to an HBO series, perhaps a commercial for a “fun” product like a sporty little car. The beautiful thing is, despite the utterly commercial nature of it which many purists might shy away from, it’s completely listenable as a song in its’ own right. This is a great example of very educated writing and execution, it’s a product that should get a lot of recognition, and also could set Natania up as a ground-breaker in this particular genre. Highly recommended, and I look forward to hearing it across VH1 worldwide very soon. To hear more about Natania’s work, check out her profile page here, or read a review of Hope and Heartbreak, and The Letter. I first came across Blackmore’s guitar maven Vahan Aslanyan being interviewed by Fish Pond family Dan and Anna Zerin on Entertainment Drive Thru. Coming across as a decent and unassuming stand-up guy, he explained the challenge of moving to the musicians melting pot of Los Angeles, and of flirting with producing and recording in addition to his burgeoning guitar career. 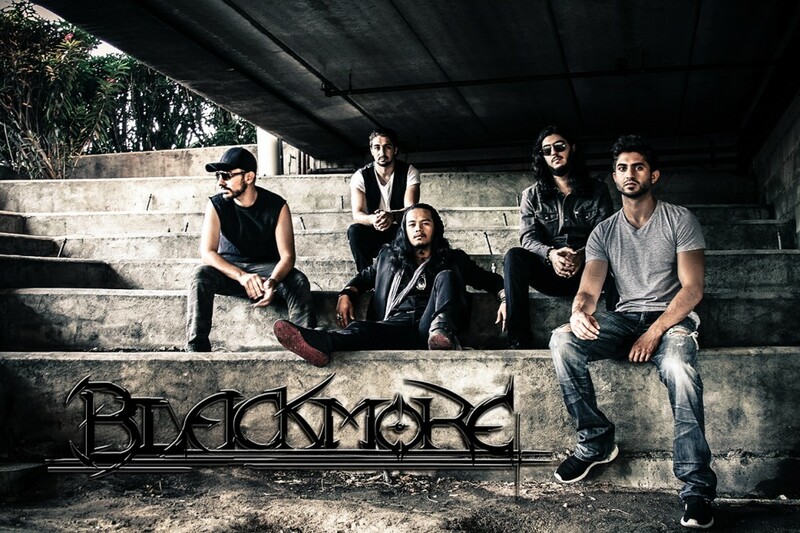 Joining LA-based band Blackmore in November 2013, described as “Alternative Metal, Hard Rock, and Progressive Rock all rolled into one”, he added his skills to those of original members Adrian Barrios (vocals), Shaunt Sulahian (guitars), David Dadoyan (bass), and Vinny Mezian (drums). 2014 is an exciting year for the lads of Blackmore, joining the Fish Pond family in April, and with the summer heralding the release on July 22nd of new EP “Law of Time”. As a big rock and metal fan, it’s my privilege to get this early listen to the whole EP and to review it for you. The brief 30 second teaser that Blackmore offered back in April (which you can find on their Fish Pond profile) was an exciting one. Limited to a short blast of crisp and harmonic metal music without vocals, it promised something new and energetic, with a guitar-filled theme. What they will release on 22nd July 2014 is a well-crafted work which balances very tight harmonic vocals and guitars with a precise rhythm section. It’s a joy to listen to as a guitarist, with vocal melodies that are catchy as hell. Enjoy it with me. Beginning with the punchy “Animalistic”, we have lift off; it’s a good choice of song to start the EP, using the best of their dual-guitar harmony style to lead things out. The sound is gritty, dirty, yet with metal-precise timing and execution. The verse is menacing and in your face, like a crazy guy wielding a broken bottle, with Adrian’s snarling vocals promising to belt out a worthy refrain. When they open up the throttle, into the pre-chorus and chorus, this band gets really interesting. It’s all-to-the-wall, you can close your eyes and love on the details of any instrument you choose. I love the guitars, especially around 2:32, speeding the pace, and taking us into a fitting solo. It’s clear that all these guys have mastered their instruments through and through, and are determined to scatter it all across this initial EP. “Battlefield” is a decent offset as a second track; with a heavy guitar and slower start, however similar to “Animalistic”, the verse is heavily driven by Adrian’s vocals and Vahan and Shaunt’s guitar work, rhythmic and a little funky to prepare for the much heavier and more technical pre-chorus and chorus. For me, it’s noteworthy that they have mixed a very technical and speedy guitar sound with some beautiful open chord distortion to excellent effect. The “wah” throughout the second half of the song is really appreciated too, it adds a new dimension to their sound. On this song, particularly check out the last 10 seconds and the guitar run on it. Ridiculously decent talent. Their third number, “Beautiful Hurricane”, reminds me in its outset of a Gary Moore number on speed. A little waltz beat starts the song off, soaring blues guitar, all to introduce a funky and beat-driven number with very light instrumentals to start. At this point in the album, their work is giving me more than a little reminder of days listening to Yngwie Malmsteen back in the day; the songs are stronger in my opinion, they don’t rely as much on ultra fast guitar, but they have that same crisp and highly technical feel to their song writing and execution. I particularly loved the segue from the chorus at 3:20 into a beautiful new guitar riff from Shaunt, a theme which carries the song out. As a guitarist myself, I give this song two thumbs up for so many “inspirational” moments. “Backdraft” continues on a theme, powerfully guitar-driven from the start, but this one deserves a shout out for the fabulous vocals from Adrian. He really does offset that guitar sound with a powerful set of lungs, and makes sure that Blackmore won’t only be remembered as technicians, but as a well-rounded progressive rock and metal band. This song is filled with changing tempos and beautiful runs. There’s also a skin-crawling evil vocal effect at 2:52 coupled with a creditable demonic laugh at the end, which feels like a tip of the hat to black metal (but only a passing reference). They complete the EP with “Downfall”. I like that this song starts out so softly, with the introduction of violins, smooth clean electric guitar sounds (note NOT acoustic), and once again Adrian managing to show his mastery of pitch and tone. True to form, 46 seconds in, like a bullet from a rifle, the song is off, all pace and metal again, running at a million miles an hour; this time reminiscent of Paul Di’Anno’s Iron Maiden days. At 2:16 in, the song gets machine gun heavy, I love the progression; in keeping with the title, musically the song gets heavier and the vocal more despairing as it flails ever onwards. Ending in great style, the last 16 seconds of the song is a resonating chord from the whole band; orchestral and very fitting, as expected from the work that these guys have clearly put into every note. Find out more about Blackmore at their profile page here. I first discovered Margo Rey’s music after seeing her photo and website address covering most of the side of a massive tour bus in the cell phone parking lot at Dulles Airport, Washington D.C., in 2012. Little did I know at that time the rich international background, the industry know-how, and the warm person behind the image, that I would come to appreciate over this last year. Born in Acapulco, Mexico, and raised in Texas, her album “Habit” (inspired by the Rolling Stones’ song “Heaven”) charted in the top 20 in the Billboard AC, as have a couple of her singles to date. Margo is a passionate pioneer of her very own genre of music, Organica, advocating the power of natural songwriting and performance. Following up her 2013 single “Tempted”, and her happy wedding day with Ron White in October 2013, she gives us “Colours”. I’ve reviewed Margo’s work before; both album “Habit” and single “Tempted” were noteworthy in their diversity of styles. Margo’s background is in rock, but she covers a much broader spectrum in these releases, her last single being a cover of the 80’s hit by Squeeze. I’ve come to look forward to very high quality in Margo’s singles with her husky and precise vocal technique and first rate backing musicians; her lyrical content really resonates. In “Colours” she has delivered something different from her previous work, and it’s a direction that I love; an absolute killer piano ballad. Enjoy listening to “Colours” here as you read the review. Listen out for that last line; “love, love, love”, the repeat, and the tone behind it, is familiar Margo. She uses the same technique a couple more times in this song, and it’s a catchy hook to make certain words memorable, on the first word of each of these phrases; “Love begins with me”, “no lies or make believe”, “hard, so hard to breathe”, “when will I believe”. Powerful messages made more emotionally relevant with some clever writing, the memorable 3. The pre-chorus is upon us quickly, a key change, and then on to a beautiful chorus. I must say that the chorus is what grabbed me on the first listen, and I am still loving its entwined wave of a melody line as I’m listening over and over to review this piece. It’s well arranged dynamically, the first line suppressed, quieter, and the second, a response, more positive, upbeat, and raised with a lovely lift in the chord progression to the final word of the line. I really like the end of the first chorus, a repeat of the tag phrase, however listen for the trademark Margo stretch on the word “fade”. Margo has had major success, and has faced challenges in her life; I think it’s a great gift to be able to tell that story lyrically and musically to share with the world. With “Colours”, she has delivered a beautiful piece of music, with a lyrical message which I read as a “grab the world by the throat”, or maybe “gather up all of your insecurities and turn them to your advantage”, or perhaps most striking, “I cannot be beaten”. It’s a different approach to the rock-Margo, or the funk-Margo, or the pop-Margo; but it’s Margo that’s back with a beautiful vengeance, and a direction I’m very glad she’s shared with the world. You can read more about Margo at her Fish Pond profile here, or at her website here. Dear Creek is a home-grown Appalachian 2-piece founded by Kate Potrykus and Alex Salser. They put together the band in 2009, on campus at the birthplace of many a musical phenomenon, Shenandoah University, in Winchester, Virginia, in between the Blue Ridge Mountains and the wild Alleghenies. Since that time, the pair have taken this creation across the country as a five-piece, and produced two albums. In a move to get back to their roots of Appalachian folk, 5 years on, they perform as a duo, and have produced this exciting 11-track work which highlights the very best of two accomplished hill-country musicians. I’m delighted to review it in advance of their album launch in May 2014. From the look and feel of the album cover, to the song titles, to the knowledge of their roots, “So It Goes” lives and breathes nature and country-folk music. With a beautifully stylized cover, owlish and wise, I’m excited to hear how they are going to tell the story. They’ve set an expectation, and I’m pretty sure – based on their previous work – that they won’t disappoint me. The opening bars of “Would You Let Me” assure me; Kate’s voice, beautifully clear and raw over a simple brush snare, sets the tone for the song, with a flighty melody. By the time that lovely national guitar sound comes in, I’m already drumming enthusiastically on my knees as I write this piece; with Alex’s voice in counterpoint, there are shades of slide guitar which make this song as powerful a lead-in as I could ask for. “Would you let me lay you down? Would you let me stay around? Wrapping the track with a beautifully mixed harmony of their two percussive vocals, it’s strong, happy music, and perfect for this sunny Sunday morning. It’s an introduction to the pair which makes me want to brew a strong cup of joe, sit on the stoop, and push this out to this suburban landscape at some ungodly volume. Picking up the pace a little with “Breathin’ Steady”, it’s nice to hear the start of a clear musical theme to the album. They are comfortable with their instrumental style, Kate’s voice is strong, and well complements Alex’s guitar. I’m starting to realize that this album is a lyric listener; one of those in which the backing is so neatly and professionally put-together, that it feels natural, organic, in some way. It simply lets you get on with enjoying the listen; and that’s what this song is, to me; a song of “getting on with it”. The octave removed melody between the two is noteworthy and I’m hoping to hear more of it as we journey through. It’s beautiful, and strangely reminds me of the feelings I had listening to Grace Pettis‘ “Abilene” (Grace and Kate are friends); a well-told story, which reaches right into your chest and grabs your heart with that voice from the very start. There are some lovely variations on the melody in the chorus toward the end of the song as it builds to its mournful conclusion. Wonderful. “Turn to Dust” is the festival track of the bunch; I could see myself at a bluegrass event in West Virginia, with a crowd clapping and lapping up this anthem. They move this number on like a midnight express, with vocals to match its lonely wail. It’s indicative of their roots, and having lived many years in the Shenandoah Valley, it tells the story of the folks who truly call themselves “country”. I was reminded of the freight trains blowing through Harpers Ferry on a cold but sunny spring evening. At this point I’m loving the nuances of the turns they are taking with the musical direction. 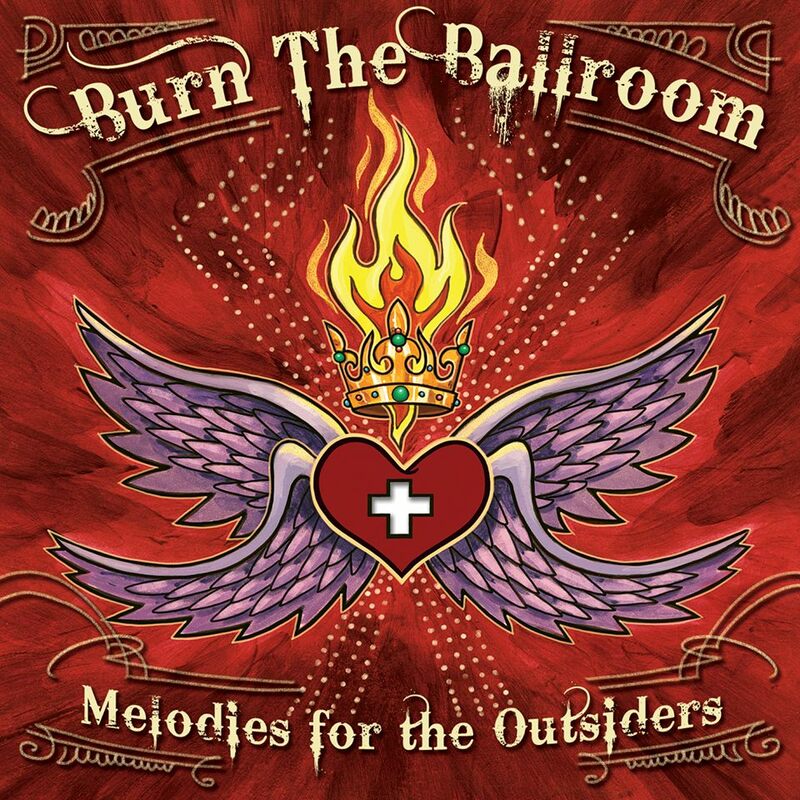 As before, it fits to a theme; “Radical” is very banjo, very uke, very guitar, yet stripped down once again to Kate’s voice leading out the mood. It’s a happy feeling song, the guitar part picked out carefully, artfully, and beautifully. I must say I loved hearing Alex’s vocal (finally) leading a verse in this song. His voice suits their sound, and from this single verse, I can see why he’s such a good foil to Kate as the lead. There’s also a surprise acoustic “floating” little bridge which was the high point of this song, followed by a sweet almost chime-like section of guitar picking which I was envious of as a guitar player, and eager to learn. They’ve done their homework, these two, and perfected and polished their playing. So, I realize, it’s a musicians album for their peer group, as well as for the down-home outdoor bluegrass shindig crowd. The instrumentation is lovely, and the verses continue in the same fashion as the above. From the initial verses, I couldn’t quite quite tell how it was going to go (love lost or love found), which adds to the intrigue. Unbelievably, unexpectedly, at 1:45, their complete change in tempo brings a warm smile, and also cements the positive light in which the song is written; just as “So It Goes” was desperately sad in its way, this song is happy romance, it’s belief in love, living, music, and the warmth of the right person being next to me always: “You’re here with me…down endless highways, a life well spent”. It’s an absolutely winner, simple, emotional, and happy enough to make me smile and cry out loud with joy. This…this is what music is about, in my world. “Fit for Better Days” is a lovely showcase of Kate’s vocal more than anything, an intriguing melody which wouldn’t be out of place in an Irish pub. The next, “Songbird”, brings a memory of the late great Eva Cassidy with the title. It’s a song not to skip over, in that interesting part of the album, the three-quarters mark, which needs to be strong to keep the momentum to the last. The lyric is clever, thoughtful, and makes “Songbird” a captivating listen throughout. Sporting a beautiful guitar solo that wouldn’t be out of place on a rock number, it’s short at 3:11, and ties off “So It Goes” in a neat little bow made of Kentucky blue grass. 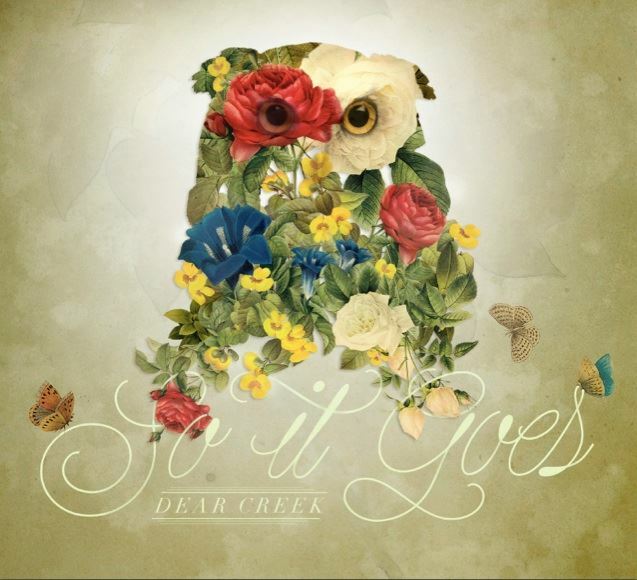 I’ve heard some well-respected musicians (notably Ricky Furr of Shenandoah University and Grace Pettis) say that Dear Creek are a great quality band. After hearing this, their latest work, I can only agree. They’ve stayed true to their valley style, they’ve written strong songs, with unique identifiers which establish something that’s theirs. Above all, Kate and Alex have super voices which they use to excellent effect, are well mixed, and are put to good use next to the capable instrumentation. In “So It Goes”, you have dynamics, feeling, and some very catchy songs indeed. The Shenandoah Valley should be proud. The album will be released on Friday, May 2nd. Their release show will be at the Bright Box in Winchester. It will be for sale on their website and digitally on iTunes and Amazon, or on their Bandcamp page. In the meantime, scroll down to see the upcoming tour dates i’ve thrown together for the good people of the UK! It will be just me and my guitar playing very small clubs packed only with people that know and dig my music. I can’t wait! RSVP here on the facebook event page – http://alturl.com/mjiyb. BUY TICKETS DIRECTLY – HERE. Now I need you, people of the USA!! On this UK tour I asked my social media fanbase where they wanted me to tour and I’m playing the places that had the highest demand. I’m not ready to announce a full US tour just yet, but I would like to find out where there are clusters of fans. 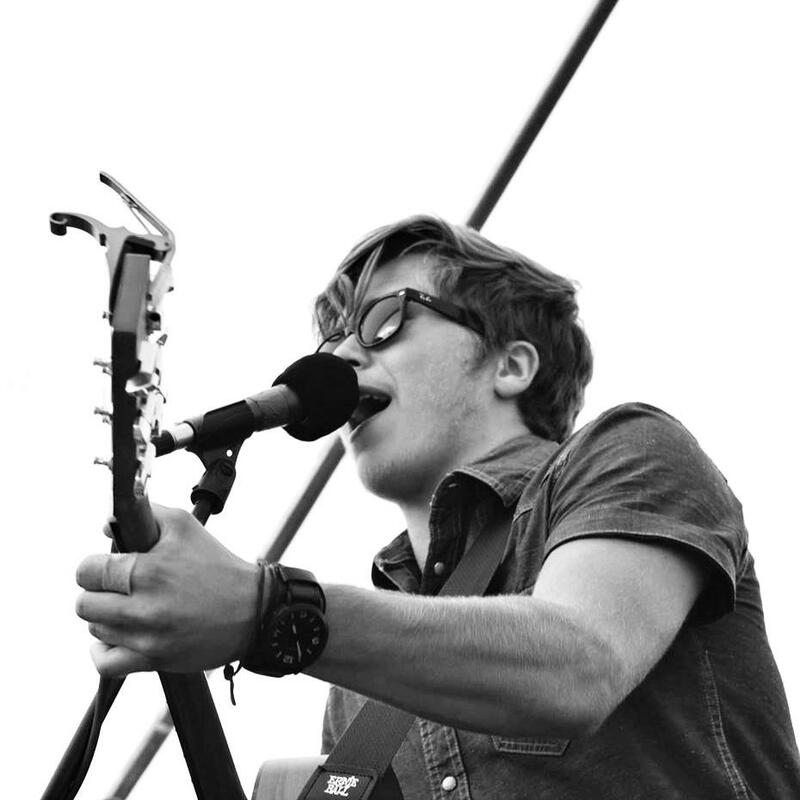 I would greatly appreciate it if US fans could use the “questions” feature on my reverbnation.com/joshdoyle page to request their city. If you have more solid leads for actual feasible gig scenarios, please email me back at josh@joshdoyle.com. Christian Lopez is currently based in Martinsburg, Virginia. If you’re around the area, catch him now while you can. 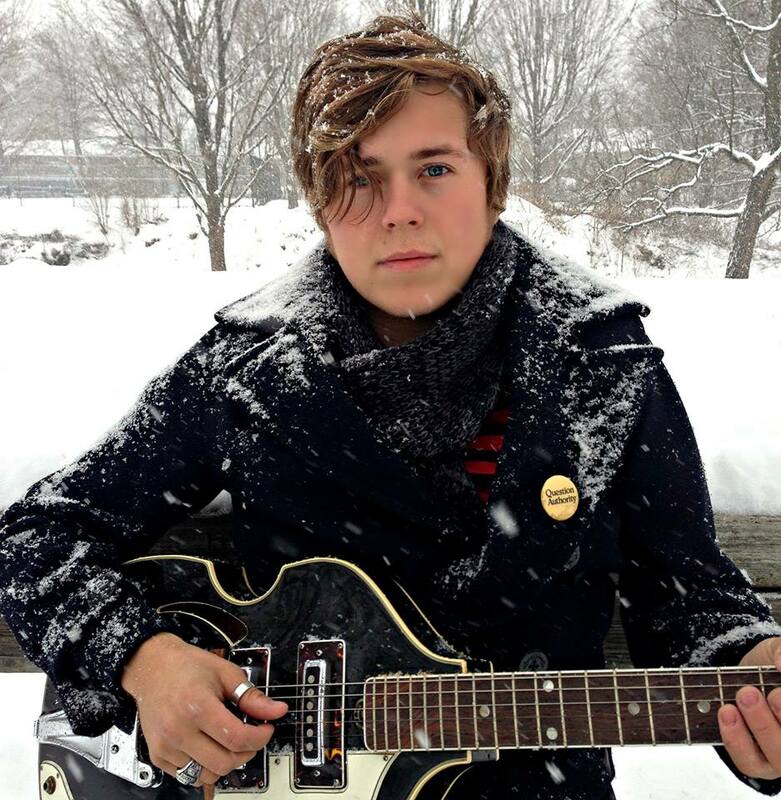 Flirting with national success in 2012, I first heard Christian live in Winchester, Virginia, with three piece band Joe Taxi. At the time, I would have said he was at the very top of his game in the performance. Best compared to Johnny Cash in his very early days, he was absolutely 100% absorbed in enjoyment of the music, in a way that projected it to everyone watching, super guitar work, pitch perfect and smooth vocals and catchy songs, making for a super live show to remember. However, hearing his recorded work recently, I have to say I just as much enjoy sitting down listening to his work, as today, on this Friday evening traveling from Montreal to Washington. It’s my pleasure to review his four singles, “This Romance”, “Let it Go”, “Will I See You Again”, and “I Will Remain”. These four numbers, different in pace, each one, are very cleverly put together. They are the best – so far – of Christian Lopez and his band. In this little journey, you will hear early country, banjo verging on bluegrass, superb drumming, and a sound which even is akin to rock. He brings that very depth and essence of the country into a sound which utterly translates to the billboard. I can honestly say I’ve never heard anything like it; and I love that. It’s originality, natural talent, a look that lends itself to TV, a really good supporting band of musicians, total commitment, self-belief, and very hard work. Rarely will you find all of these seven things in one package. In my opinion, in Christian, you’ll find them all. The banjo and percussion is in, and it’s already foot tapping stuff, a lovely repeated melody which you can fall into by the time the chorus comes around. If you’ve reached the chorus, you’ll be hearing what has made the Christian Lopez Band such a hit in their live performances; stomp music, celebratory, energetic, with so much craft put into the vocal and instrumentals. Listen out for the effortless violin solo, in two crucial places in the song, and you’ll see what I mean. The dual tight-as-a-drum male and female harmony is sweet and effortless. At 3:13, it’s short, but perfectly so. It’s an exciting formula, and it leaves you wanting more; a party starter, with no doubt. But remember why we came all this way. It’s a positive message, and I expect to hear more from this particular track on the label version. Next up is my favorite of the four. It embodies, to me, everything that I’ve admired about Christian, after 2 years of listening to his music. Until you and I can agree? I’d dare to say this song is one of a kind. It’s such a good mix of everything that’s popular about the likes of Flogging Molly and Mumford and Sons, with a genuine American country feel. I hope you enjoy it as much as I do every time it pops up on my playlist. The instrumentals are deliberate and beautiful, but I think it’s fair to say that Christian’s exceptional vocal carries the hope and heartache of this song. As with some of the best albums I’ve heard, it’s a bittersweet finish, reminiscent of Jimmy Marino and Auguster. A song of love and loss and hope, but with so much energy, that either way the night will end with a “let’s live for now” party. The song uses an interesting technique of a build throughout which makes the mid-bars somewhat heavy, but in the end it’s just a nice trick to allow a symphony of back beats, high notes, and very decent down-home music which comes to an all-too-abrupt end. I’ll dare to say that the Christian Lopez Band is a certain winner; with talent, song writing skill, and energy as Christian has displayed and aired for years now, he, and they, can’t fail. The EP is in recording now, so look out for a label version of these tracks very soon (and for goodness sake buy it, to keep it coming). 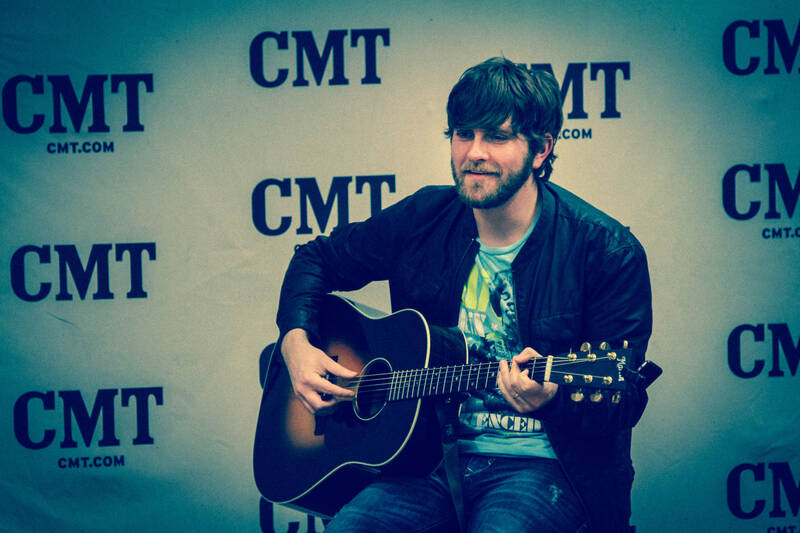 The nice thing is that he has the national recognition he deserves, and whenever I have aired his music to an international audience, they immediately and without exception fall in love with it; however in the end he is just the humble, thankful young guy from Martinsburg, West Virginia, who is staying absolutely true to his musical roots. You can listen to all four tracks at Christian’s Soundcloud page here. 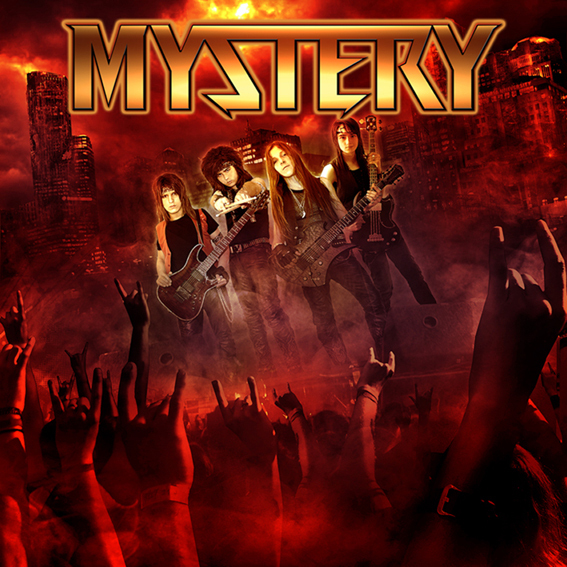 The lads from power-rock and metal band Mystery are a phenomenon. 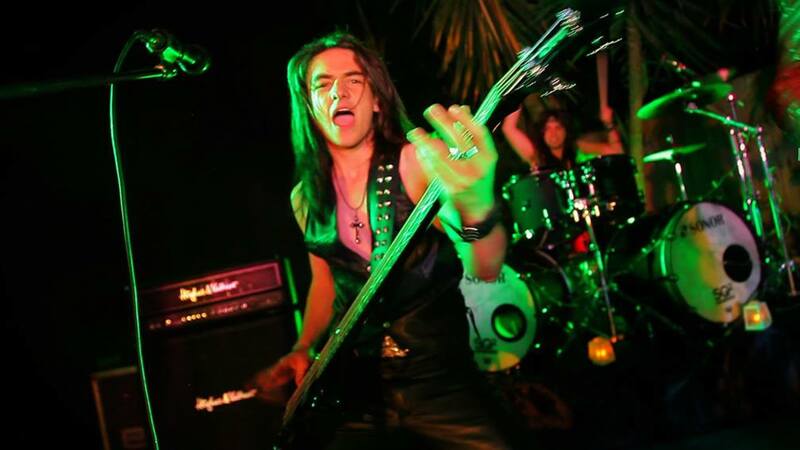 Forming in 2010, when lead singer and lead guitarist Rocky Ravic met drummer Tony Mlikota at the ages of 13 and 12 respectively, while jamming they soon got together with school friend and rhythm guitarist Kris Iaccino, also 12 at the time. The lineup was completed when 12-year-old bass player Josh Scarpaci joined them at the end of 2010, and they debuted at CroktoberFest in Melbourne. Fast forward four years, and they have a story which is a credit to their hard work, commitment to their genre, and well-honed talent. They are simply very, very good at what they do; they believe in it, and in themselves, and have the backing of some big names in the business to prove it. When these guys joined our ever-growing global family in February 2014, I was blown away by the first couple of tracks which Rocky sent me for their profile. Without any previous information on the band and their roots, my head was right back in the era of early Poison, Warrant, Faster Pussycat, and harder material like AC/DC and Dio. It’s unfair to present them in lockstep with the sounds of all of these other bands, because they have their own sound, but I wanted to give some idea of the caliber of the rock and metal which they are turning out, and I’ll continue to compare throughout this review. It’s a genre which has been all-too-often glossed over in the last 15 years as rock music tended toward more extreme versions (industrial, death metal, and pop-punk), great in themselves, but losing some of the character of true “hair metal”. In the album “2013”, these four, still yet to turn 18, have produced a solid arena-rock classic, which establishes their strong position as the torch bearers for the genre for a generation to come. Starting the album with minute long instrumental which is all harmony lead guitar, they set the scene for what you’re about to hear. If you had any uncertainty from the album cover of what was coming – shame on you 🙂 – now you can be in no doubt; it’s a rock and metal fest the likes of which you won’t have heard in some time. “2013: A New Dawn” is a lovely short lead into their anthemic album starter, “Raise Your Fist”. Introing with a cowbell reminiscent of “Appetite for Destruction” in 1987, the immediate pick up of the guitar is such a driver of their sound; some great open chords, and a punchy driving metal distortion which is a perfect backdrop for Rocky’s gravelly vocal. It’s riffy, reminiscent both of AC/DC in the chordiness – Malcolm Young would have been proud – but also Poison and Van Halen, in their ability to craft a guitar line which is memorable and melodic. The chorus is a chant, grouped voices, they shout it like they mean it, for sure. 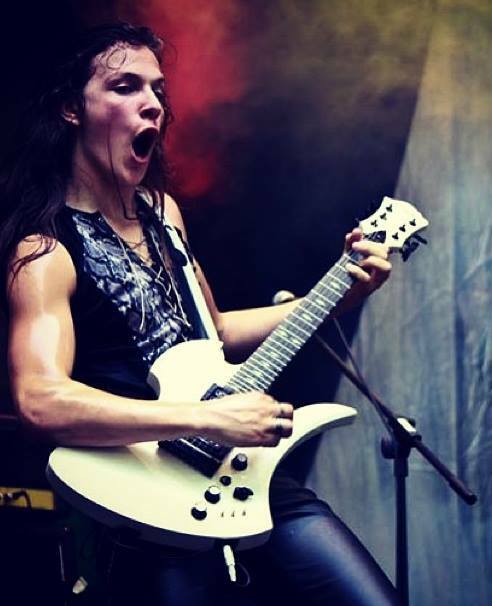 The guitar solo is short but full of technique, which is recognized in support of Rocky’s licks by the likes of Henrik Bergqvist of superb Swedish metal band, The Poodles; it’s a precursor of what’s to come on the rest of this album. Motoring through “Freedom”, as songs go it’s a nice come-down from “Raise Your Fist” and switches the mood; the feature of this one is once again the guitar solo; studied, well-written, clear, academic, and totally rocking. It’s good to see the return of some real quality lead guitar work supporting this set of songs. Next up, “Nonstop to Nowhere” begins it’s journey as a ballad, a little reminiscent of Tigertailz in their heyday. It doesn’t take long to drag the song into a heavier state, in doinn so it’s interesting to hear how much they’ve speeded up the chorus tempo. Doubling the pace at the end of the song allows them to rock out with dual guitar harmony, and even to fade the song out on a solo. Their study of great metal technique is never ending, truly. Next up, “Test of Time” is the track which I cranked up to eleven when I first heard it, windows down in the car (despite it being midwinter, it was a vaguely sunny day); it’s a highway song, it’s strong, well written again to Rocky’s vocal, plenty of scraping the pick down the guitar strings and pinched harmonics a-plenty. In reviewing metal bands, it’s easy to focus on the vocalist and the guitars; it’s an axe driven sound, so it’s quite normal to revel in the spiraling solos and riffs and soaring voices; however Tony Mlikota, the drummer, deserves a call out on this track. When you put a really quality drummer together with a big investment in a kit which allows them to really push their limits, you get this type of sound. Powerful, driving, very noticeable, and testament to the fact that every member of this four piece puts in their absolute all. After you’ve heard this, have a listen back to the rest of the album, and watch out for the drums; they keep the pace, true, but they’re class, and there is a some very clever musicianship in them. “Rock n’ Roll Forever Be” follows “On Fire”, and it’s everything that this band is about. Starting the song with pure AC/DC-like strong riffing, it’s almost a spit at “Spinal Tap”, both the band and the timeless movie; it’s everything that Rob Reiner intended to poke fun at all those years ago, and yet is an epic listen, and popular with absolutely masses of people. More of this, please. We’re getting late in the album now, and the risk would be that these songs would be getting “samey”. However I’m not finding it with “2013”. “Lost in Time” is once again different; this one has a driving beat to it, metal guitar, it’s delivered with force, and I’m hearing Rocky’s unique vocal style coming out more, as they set out their stall. Noteworthy in this song are the three or four places where you hear a neo-classical guitar sound supporting the song, as well as the enormous kick into a double-bass drumming frenzy at 3 minutes and 27 seconds. It’s enough to send an arena crowd in Tokyo over the edge, that’s for sure. “Stand Up and Shout” is a super throwback; now I’m definitely hearing Faster Pussycat, or perhaps “London” (if anyone remembers them from the old LA days of sleazy glam metal). The speed of the rhythm guitar and the accompanying solo doesn’t disappoint. Rocky’s screaming throughout the song is a nice new touch, and puts him into the Bruce Dickinson league of vocalists. Solid. They finish the album paying homage to their homeland, it’s an excellent cover of “Land Down Under” by Men at Work. Quite honestly, I’ve heard some innovative covers, but I’d NEVER have thought that this 80’s classic would get a makeover from a metal band. But somehow it’s so appropriate for this strong and ever-growing young four piece. I can surely see Men at Work smiling at this one, and I can only hope they’ve heard it. Mystery even manage to end the entire album with the word “Oy!” from the original, a beautiful and appropriate touch. All in all, this is a solid piece of writing, performance, and a tribute to rock and metal, that I’ve been listening to it over and over. This has been a different work to review; I’m not particularly looking for meaning in the lyrics, and they didn’t grab me over the course of the album. Then again, they didn’t have to. The music is quality, and they are proving it with some extremely hard work, including what you would call a mini-world tour for both of the last two years. These guys are dedicated to their craft, and crowds in Australia, Japan, Eastern Europe, and the US are loving it, and I’m not surprised. With the endorsement that they are getting from some big names in the business, watch out for their growth across the rock and metal festivals of the globe. As they say themselves on their website, and I can’t help but agree: “the future of rock and heavy metal is in good hands”. You can purchase the album “2013” (highly recommended) here at iTunes. You can find out more about Mystery at their website here, or on their Fish Pond profile page here. I first ran into Paige and her music when she was a freshman at Berklee College of Music in Boston, MA. When her peers were asked about the new joiner to the Fish Pond family, they would simply say “Paige is Paige”. I soon found out what they meant. In a league of her own, sometimes seemingly in a world of her own, her voice was always airy, delightful, and I remember early numbers “By the Moon”, “Fire”, and her cover of “I Can’t Help, Falling in Love With You” impressing on me how well her guitar technique and voice fit together. Starting out 2014 with what she describes, appropriately on Valentine’s Day, as “my anti-love song”, she’s back and she’s in amazing form. 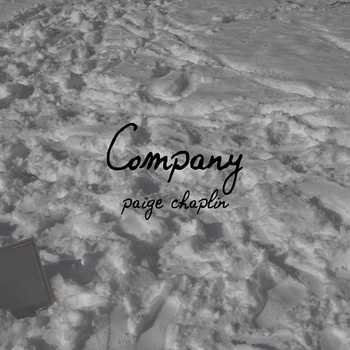 Paige Chaplin brings you “Company”. Releasing the wonderful effort “He Has Gone, Said Her Heart” in August 2012, Paige has been on hiatus since that time; and quite honestly, it was a shame not to see any releases in 2013 with all of the promise of her early work. Now settled, producing that same exquisite uniqueness in her vocal, the same guitar sound, but with a maturity of writing which takes her to the next level of the Chaplin sound, “Company” is a worthy release, and it’s a strong start to 2014 and the hopeful anticipation of an album to come. Listen here with me. Paige is back, with a vengeful vengeance. She has room to bring the dynamics down to that guitar again, to introduce a third distinct portion of the song, and it allows a slow build into the main instrumental again. The melody is so hopeful and holds me captive, listening more for the clear-as-crystal lyric now. Here’s what the songs says to me; it’s a song of empowerment, strength, reflection, moving on, a bold screw-you tattoo on the forearm; yet ironically it somehow still feels sad, there’s a whole lot of meaning, and the right words are all there, but not necessarily all of the conviction. It feels like love has been lost and there’s an element of a hurt girl being strong in the best way she can. It’s a song to sing to the mirror to convince yourself that you feel like you are still whole, still breathing, alright. A great effort, and long awaited. I’ve so enjoyed listening to this multiple times, as I have enjoyed her YouTube work over the last year to keep me going, like this rendition of “Ready“. Paige is Paige, as will be her lasting tribute from friends and fans, a unique talent, destined to release quality material as and when she produces it, rather than on our clock. I so look forward to the album, for the doubtless many new ideas and joys it will bring. You can find out more about Paige Chaplin at her profile page here, or purchase “Company” from her Bandcamp page here.